“She’s a bit chilly but putting out some solid Blackmouth” …..that is the report from Area 9 this week. Point No Point and the North East side of Possession has been pretty constant. The 3.5 Herring Aide leads the pack with 140-150 on the Scotty’s. I really like using 15 pound balls on the new Scottys to handle the current on Possession. Report submitted Nelson “Spud” Goodsell – Salmon for Soldiers, IGFA Life Member, FISHTALE2. The cover image of this week’s report was contributed by Goodsell. The first two weeks of winter blackmouth fishing have been nothing short of outstanding with limits each trip. The abundance of hatchery marked, legal length Chinook has been very high and this is some of the best blackmouth fishing we’ve seen in quite some time. We have been mooching with herring for the most part but trolling has also been working. Our go to mooching bait is a green or red label herring, plug cut, on a two hook mooching rig. We use 3/0 – 2/0 Gamakatsu octopus hooks on a light 20lb leader. We find we get that extra bit of spin on the light leader and small hooks. Total leader length is 6’. We’re catching our fish at or near the bottom both on the drop and also the retrieve but we have absolutely caught many fish near the surface as well so be sure to fish those baits throughout the entire water column…watch for follow-ups at the surface. When we’re trolling we focus on targeting the bottom and aren’t afraid to make contact with our downrigger weights fairly often. Flasher and spoon, and flasher and hoochie have been the go to technique on the troll. 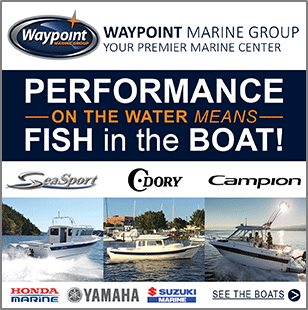 Give us a call to get out on the sound while the fishing is good and so close to home. Report submitted by Mark Coleman, All River and Saltwater Charters; 425-736-8920. The cover image of this week’s report was also submitted by Coleman. The Immature Chinook (Black mouth) fishing is very slow in MA11 right now for best success try the northern part of MA10 and MA9 tolling has been best with Flasher and spoon. Immature Coho and Searun cutthroat trout has been pretty good from the Tacoma Narrows south. Most squid action at Redondo, Des Moines, and Dash Point but a few at Point Defiance. For a more updated report call (253)404-3960. Report submitted by Point Defiance Marina. For more information contact: Gene Anderson, Boathouse Marina Technician, 253.591.5325 genea@tacomaparks.com www.pointdefiancemarina.com. Bank and boat anglers are enjoying the mild winter temps we are having. Trolling and casting for Lahontan Cutthroat Trout remains highly productive with double digit catch counts for anglers willing to put 3-4 hours on the water. Trolling Mini-Superbait Cutplugs behind 00 herring dodgers or Maglip 2.5’s at 2 mph along the shoreline will produce good catch rates. 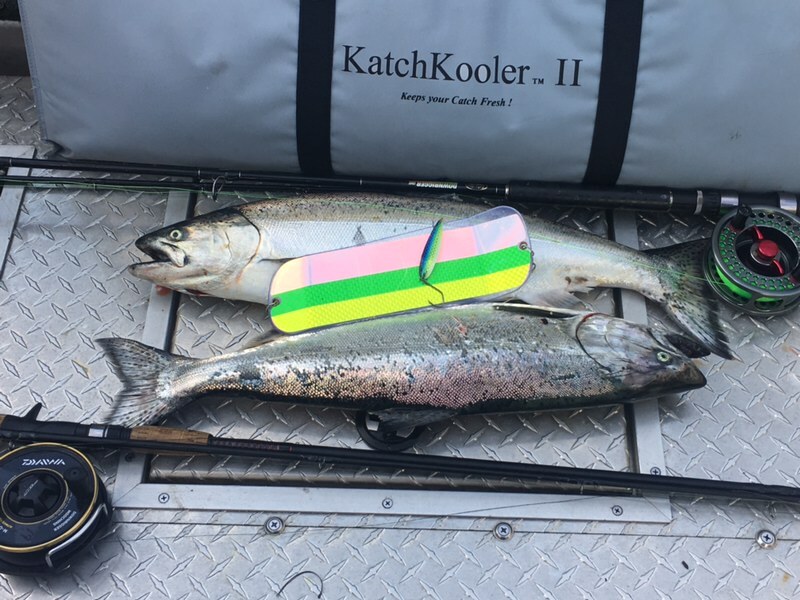 Report submitted by Tyler Hicks, Cascadia Kayak Angler, North 40 Outfitters – Fishing, spiltmilt@gmail.com, 509-422-9840. Ice fishing for Black Crappie and Yellow Perch has been fair to excellent. Best fishing occurs in the first few hours of the morning and in the evening. Ice is 7″ thick or more with 4-6″ of snow on top. Spiny rays are biting best in less than 15′ of water. Out deeper anglers are finding Rainbow and Tiger Trout as well as Kokanee. Former Cincinatti Reds catcher Johnny Bench fished with Slivers Charters and had a remarkable fishing day. It has been a relatively long and very wet winter season in Central and West Coast Vancouver Island. Some big winter storms with wind have battered the coast in inland areas especially in December and January. Spring and Summer are just around the corner and we can hopefully expect weather conditions to improve and allow for some productive fishing days out on the water. 2019 looks to provide good opportunity for sport fisher people targeting Chinook, Coho, Sockeye, and it being an odd year, pink salmon. The Chinook numbers should remain stable with some of our area streams and rivers improving in returns. 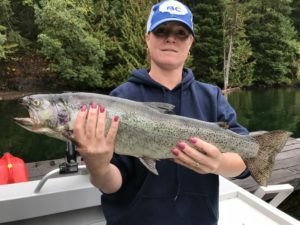 The Coho mortality rates are down and they are increasing in return numbers to local water systems in late August and September. Sockeye returns to the Somass River system should be average and much better than what occurred in 2018. It is a new year and hopefully some new and wonderful sport fishing opportunities will fall upon us in 2019. As previously remarked the Spring, summer and fall of 2019 are looking very favorable for Chinook, Coho, and Sockeye Fishing in the Alberni Inlet and Barkley Sound. These two areas of the West Coast will provide for ongoing sport fishing with reasonable retention limits. Chinook and Coho numbers in 2019 returning to West Coast Vancouver Island Rivers and Streams should resemble the fantastic returns that we witnessed in 2017 and 2018. Sockeye salmon returns to the Somass River should be average or perhaps just a little better than average. 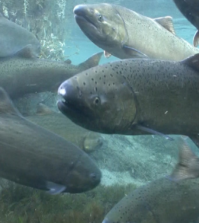 Approximately 200,000 Sockeye returned to the Somass River system in 2018. This was a very low return of what is termed the “Number 1” salmon of the five salmon species. This did not provide for much of a sport fishery. The early season forecast for Sockeye is not yet established. More data will be provided as we get closer to late April. 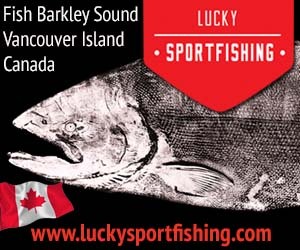 The horrific stormy winter weather on the West Coast and inland Vancouver Island has prevented a lot of winter Chinook fishing in Barkley Sound. 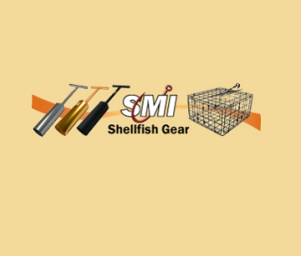 The sport fishing during most of the winter in 2019 can be described as “slow”. Weather conditions will abruptly change in March and April and allow opportunity for some warmer air temperatures which should allow for some productive fishing days out on the water of the Sound and the various islands outside the Ucluelet Harbor mouth. March provides the first of many salmon fishing derby’s in this area. The first weekend of March in 2019 is the annual Sproat Loggers Derby. 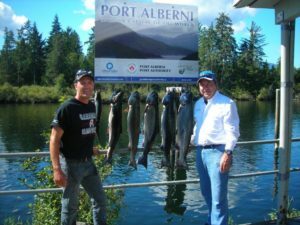 This Derby is hosted out of Poett Nook located at the bottom end of the Bamfield Wall in Sarita Bay. This early season derby has had Winter Chinook in the mid twenty-pound range weighed in as derby winners. The Sproat Lake Winter Chinook Derby has been attracting well over four hundred entrants over the last few years. This derby usually marks the beginning of the salt water angling season in this Vancouver Island area. 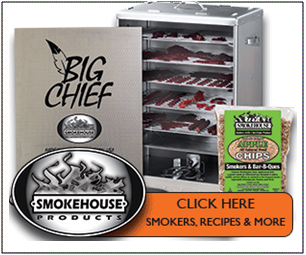 The derby has many outstanding prizes for those many entrants that travel from afar to take part. There will be plenty of information online regarding the derby. Entrant tickets are usually available at the Gone Fishing store locations. Jan of Portland Oregon fished with John of Slivers Charters Salmon Sport Fishing and landed this 30 lb Chinook at Sail Rock using anchovy. Winter Chinook fishing has been slow through the winter months. That being said the weather has not cooperated. Some local anglers in Bamfield and Ucluelet do get out on the water on a nice winter afternoon or morning. The feeder Chinook fishing should improve dramatically if the herring spawn is as fantastic as it has been over the last few years. 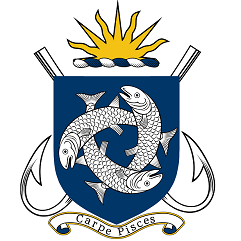 For those sport angling people getting out on the water there have been a few afternoons where there are some feeders in deep water right in the Bamfield Harbor mouth, Scotch Bay, the Bamfield Wall, Whistle Buoy, and the stretch of water from Kirby to Edward King. The front side of Fleming Island and Sandford across from Bamfield has also provided some nice salmon up to ten and eleven pounds. The fish are in very deep water up to one hundred and fifty feet. March, April and the first half of May can provide excellent fishing for avid anglers outside the Ucluelet Harbor. Many will troll right alongside Beg Island and to the Red Can. Sail Rock, Great Bear, Mara Rock, right back to Mayne Bay and over to Swale Rock can also provide some great winter Chinook opportunities. In the early spring many anglers will fish very close to the bottom. Coyote spoons, or spoons in Irish Cream, Cookies and Cream, green and blue nickel and other various spoons and colors in the three and three-and-a-half inch size work very well. If there are not a lot of undersize Chinook in the various angling spots anchovy will often out fish spoons. Chartreuse, Cop Car, army truck, and green haze are often good anchovy teaser head colors. A six foot leader or better when trolling anchovy is a wise decision. Those who prefer trolling with hootchies purple haze, green spatterback, and various glow whites tend to work well behind green and blue flashers. 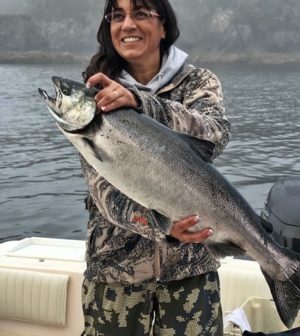 Early Season fishing in late April, May, June and July often will rely on returns of Chinook and Coho to the very large watersheds to the south. The biggest watersheds are the Columbia, the Kalama, Willamette and Sacramento. The Salmon often travel along West Coast Vancouver Island as if travelling on a hi-way. The sandy banks off the west coast out to twenty miles provide rich resources of bait fish. The salmon will stop and gorge themselves for days before moving on in large schools. Barkley Sound also has huge amounts of rich nutrient filled bait fish that these migrating salmon will come in and feed on. For anglers the fishing for Chinook up to thirty pounds can be very eventful and provide for what can be termed “first class sport fishing”. 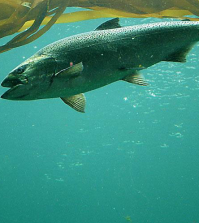 The West Vancouver Chinook and Coho will begin to show in early August and begin to peak later in the month and into September. Trout fishing on the lakes has been up and down. Some Sproat Lake fresh water fisher people have fished Dog Mountain and also an area just up from the Ski Club but success rates have been minimal. Great Central Lake has had anglers have a little success fishing from shore using power bait and even worms. The best fishing has been on the troll. The fall fishing on Great Central was spectacular. The fishing during Christmas and the early part of January was a bit slower likely due to the heavy rains. Cut throat and rainbow during the winter months usually weigh two to four pounds. Flat fish in darker patterns with a trailing dew worm works very well. Gang trolls also are a good choice. During the winter the Stamp River conditions can vary. Steelhead fishing will be rather poor when there is high water. When the water is low and clear anglers in the river will on average hit a few fish per day. Steelhead fishing has been okay in both the upper and lower river. There have been Winter and Fall Steelhead in the system. These fish will spawn in the spring. Hopefully when conditions warm up so will the Stamp River fishing. 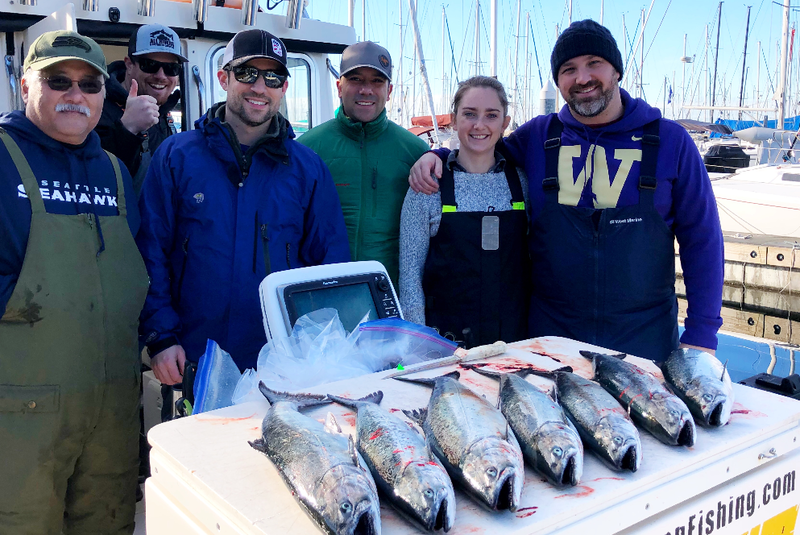 For more information and/or reservations, call Doug Lindores at Slivers Charters Salmon Sport Fishing (250) 723-2435; (250)724-2502; cell (250)731-7389 or 1-877-214-7206 www.catchsalmon.ca or www.catchsalmon-ca.com; dlindy@shaw.ca. The cover image of this week’s report was also contributed by Lindores. It shows Amberlee of the Cowichan Valley on Vancouver Island. Salmon fishing was GOOD near Becher Bay. There have been lots of small springs inside throughout the area. This past week the salmon were on the outside of Frazer Island and near the Bedfords. The best depths to fish for springs have been between 120 to 140 feet on the downrigger although we did hear of a 7 lb spring caught at 60 feet in 120 feet of water. The fish have not been too picky about what they will strike either. Anglers are mostly using spoons and plastics for lures. Good spoons have been Skinny G’s, Coho Killers and Coyotes with glow on them. Needlefish hootchies in White, Glow/Green and Purple Haze are the top choices in plastic baits. Large anchovies wee working too and effective choices for teaser head are Chartreuse, Tiger Prawn and Bloody Nose. The GIBBS Highliner Guide Series Outfitters, the Betsey, and Gold Fever Hot Spot flashers have been working well. Fishing for springs was GOOD on the flats but most of the fish were small. There had been larger fish out at Border Bank. Anglers had also been reporting springs up to 12 lbs on the Flats in 100-140 depths. Trollers had been catching the salmon trolling small spoons; Coho killers, Wee G’s and AP Sandlance spoons. Most of the anglers have been bottom bouncing squirts and spoons or jigging close to the bottom. Best bets for Oak Bay trolling lures are Wee Gs, Skinny Gs, Coho Killers and AP Tackleworks Sandlance spoons. Squirts will also work with Jelly fish and Electric Chairs good bets. Jiggers are using Deep Stingers and Point Wilson Darts. 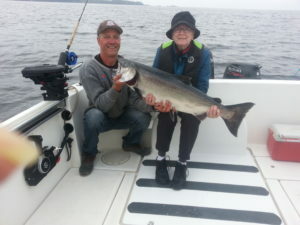 Pedder Bay Marina reports GOOD salmon fishing. The fishing has been best at Whirl Bay and Church Rock and not inside Pedder Bay. The springs have been up to 6 lbs in size and limits were reported. The fish have been close to the bottom and there is lots of bait in the area. Spoons have been the most popular lures, with the 4” Silver Horde UV herring Aid the “hot” lure. Coyote spoons have also worked well as the fish are targeting herring and not needlefish. Hootchies and squirts are still working with green and glow, Purple Haze or UV white good color choices. Flashers that are popular include the Guide Series Madi, Outfitters and Lemon Lime. Good choices for teaser head colors are Bloody Nose, Chartreuse and Purple Haze. Salmon fishing was GOOD in the Sidney area but most of the springs were under the size required for retention. We heard of keepers coming from Wain Rock around to the Red Can. The Sidney channel, from the Red Can to the James island Powder Wharf areas has held mostly undersized fish. Suggested spoons are Coho Killers, Gibbs Needle G and Wee G spoons and AP Sandlance spoons. Suggested colours are Green/glow and blue/glow. Anchovies and Tiny Strip were also good in Glow or UV Purple teaser heads. Salmon fishing was GOOD this past week. Most anglers have been fishing from just outside the Secretary Island to Otter Point. Tristan McMillan landed a 13 lb spring near Possession Point this past Saturday. The fish have been close to the bottom in 100-150 feet depths. Spoons such as Skinny G’s, Coho Killers and 4″ Coyote spoons have been good. Blue and glow has been the hot color combination for spoons. Hootchies in White, Glow/Green and Purple Haze are the top choices in plastic baits. 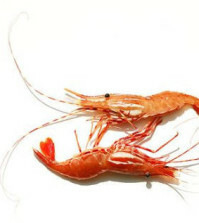 Anchovies and small herring always work for winter springs and good choices for anchovy teaser head colors are Chartreuse, Tiger Prawn and Bloody Nose. For flashers, the Delta Guide Series UV Moon Jelly, Lemon Lime, Madi and the Super Betsey are popular. Bad weather and strong winds limited access to the fishing grounds during the week but it was nice on the weekend. Albert Head and Esquimalt Harbour wee the most popular areas to fish. Most of the fish caught off the waterfront this past week have been from 3 to 5 lbs in size but there were a few larger ones for anglers who released the smaller ones. The salmon have been concentrated along the bottom. Spoons are working well with Skinny G’s and Coho Killers in Irish Cream, Brass/Silver and glow white good choices. Spoons that have been the most popular lures and Skinny G’s, Coho Killer, AP Tackleworks and Coyote spoons have all worked well. Fishing was GOOD for trout but SLOW for bass.